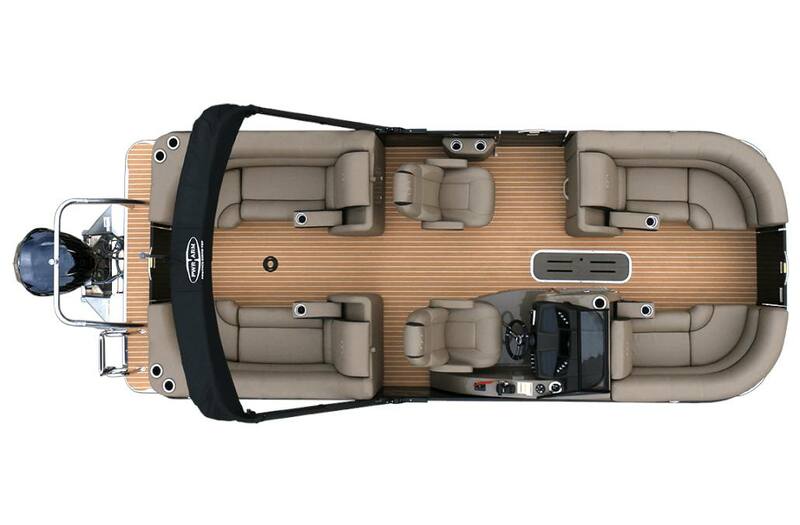 Why choose the Veranda Luxury Pontoons Vertex RC Series? The VERTEX RC Series truly defines the apex for boats. From bow to stern, the Veranda VERTEX RC model is loaded with features and comforts that envelop the entire crew, whether few or many, with over-the-top comfort and luxury. Max. Person Capacity: 13 / 1,833 lb. Rough Water Package: .125 log upgrade and additional structural baffle per pontoon.